If you are having difficulty keeping your car seats clean and protected, then our range of car seat covers in Brisbane is the perfect solution. Made from the finest materials that are comfortable yet durable, our wide collection of premium car seat covers in Brisbane are water and tear resistant. 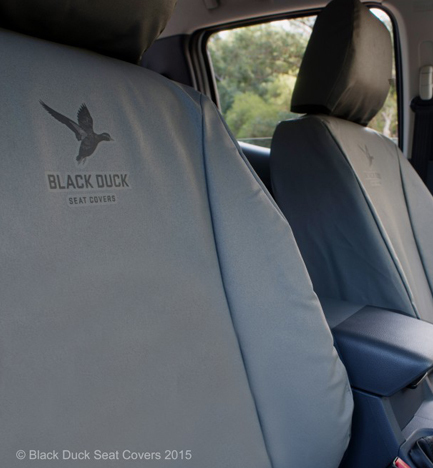 At Janders, our car seat covers in Brisbane are manufactured by leading brands including Stallion and Black Duck to ensure maximum protection during your travels. Designed to last for a prolonged period of time and the demands of heavy duty usage, our range of car seat covers in Brisbane continue to be the top choice at Janders. Stop wasting time and shopping around for second rate car seat covers around Brisbane when you visit our online store for premium quality seat protection. We prioritise delivering the highest amount of customer satisfaction, which is why all of our quality products including our car seat covers in Brisbane are competitively priced to ensure you get the most value for your money. Selecting from our variety of car seat covers in Brisbane has never been this simple with our selection system that includes a large range of vehicles to ensure that your seat covers are well fitted and cater to your needs. Specifically manufactured to be stain and wear resistant, our wide variety of car seat covers in Brisbane will not disappoint. Avoid wrinkled and unflattering car seat covers in Brisbane when you discover the Janders difference. Style, quality and honest customer service is what we continually strive to bring to our customers with our products and accessories, including car seat covers in Brisbane.